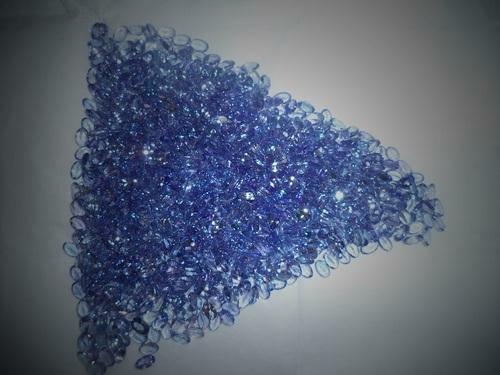 For our esteemed customers, we bring forth an enormous range of Calibrated Tanzanite Gemstones that is designed in accordance with the worldwide quality standards. These products are made using finest quality material and advanced technology. The offered range is available in several exclusive designs and shapes as per the requirement of our customers. Apart from this, the offered range is checked on several parameters of quality in order to deliver flawless product to our customers. Backed with rich industry experience and expertise, we are engaged in Manufacturing, Trading, Exporting and Supplying highly qualitative range of Precious Gem Stone, Semi Precious Gemstone, Gemstone Bead, Diamond Studded Jewellery, Kundan Meena Jewellery, Victorian Jewellery, Birth Stone, Gemstone Statue, Gold Jewellery, Rough Precious Stone, Rough Semi Precious Stone, Semi Precious Stone, Stone Bead and Semi Precious Bead. Ankit Gems & Arts has been able to create a distinct niche in the industry since 1992. We are a Sole Proprietorship company constantly growing in this highly competitive market. Located at Jaipur (Rajasthan, India), we are backing by robust infrastructural base resourced with progressive manufacturing technology. The infrastructural base spreads over a huge area and facilitates our production team to design and manufacture complete assortment of products in compliance with universal quality standards. Further, we have divided our infrastructural base into several separations like procurement, production, quality testing, sales & marketing and warehousing & packaging. Our well-equipped infrastructure has enabled us to sustain the quick rate of production. We export our products all over the world.